With your help, we’ve spent the past five years advocating for North Carolina’s public school system. We believe that inclusive, integrated, and equitable public schools are the truest route to independence and prosperity for all students and their communities. We believe that students in integrated schools demonstrate more tolerance and inclusionary behaviors compared to those who have less contact with students from other racial and ethnic backgrounds. We work to reduce social and economic barriers that limit our students’ academic and economic advancement. We believe in education justice and strive to uphold equal access to a quality and well-rounded education for all students. A focus on school integration and equitable distribution of education resources is especially important now, when schools across the country are re-segregating at an alarming rate. Levels of segregation in our nation’s schools are now at levels not seen since the 1960s. According to a recent report, school segregation is associated with increasing racial achievement gaps, dropout rates, and incarceration rates. Integration has benefits for all students, including improved test scores, a decrease in drop-out rates, an increase in capacity for working with others, decreased levels of prejudice and much more. Perhaps the greatest threat of the move towards privatizing our schools is the erosion of the public’s trust in their public schools as a vital civic institution. Privatization turns our children’s education into just another consumer item. 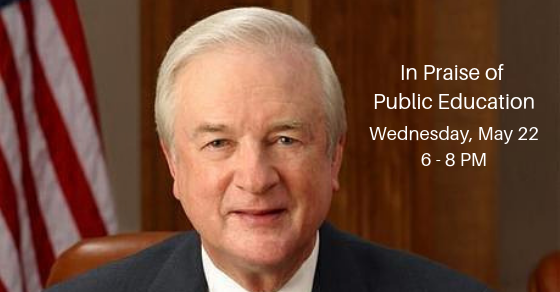 Under the cover of consumer “choice,” privatization fosters a system of segregated have and have not schools, undermining equality of opportunity and weakening the NC Constitutional obligation to provide a sound, basic education for all public school students. A variety of forces contribute to this trend, including the proliferation of charter schools, increased voucher funding and progression of the “school choice movement” that takes money from traditional public schools and sends it to private operators. The result of most “choice” options is that schools are mostly segregated by race and income. Separate is never equal, and working for education justice involves working towards integrated, equitable schools. All children deserve a high-quality appropriate public education. Equality of opportunity is our nation’s foundational value, and public schools are the best way for our state to ensure it for every child, regardless of race, religion, ability, income, or residence. Education justice is striving to achieve equal opportunity through high-quality education for every student. The techniques used to undermine our public schools range from diverting public resources to unaccountable private entities to schools’ chronic underfunding that disproportionately hurts the poorest parts of our state. They encompass disparaging teachers’ abilities by taking career protections and offering low pay, as well as denigrating districts by implying they misuse funds that have been spent properly. Creating instability in schools and districts by refusing to fund class size mandates is just the latest example of a long-term campaign to cultivate the belief that public schools are failing. A recent article details the rise in rhetoric that American public schools are failing. “A quick search on the Google Books Ngram Viewer indicates that the likelihood of encountering the phrase ‘failing schools’ was 100 times greater in 2008 than it was in 1975.” Of course, some schools do indeed struggle. Rising economic inequity and institutional racism contribute to multiple challenges not easily addressed in the classroom. Children from low-income families need more social support than we currently provide in most schools. Poverty is strongly correlated with below average academic achievement. Privatization is not the answer to fixing these issues. “Disruption, which is so highly lauded in the private sector, is exactly what those schools don’t need. Instead, what they need is courageous policy addressing issues like school integration and compensatory funding.” All of this is a pattern of privileging private and privatized entities over existing available public institutions that are the best, most equitable means we have of delivering resources to citizens. Another key issue to student academic success is the impact of adverse childhood experiences (ACEs) on children and how these life experiences affect their schooling. Research links toxic levels of stress and the related chronic stress responses to negative impacts on every aspect of a child’s life; from their physical health, to the development of their brains and social and emotional skills, to their academic performance. The good news is that children can learn resilience and the impact of ACES can be mitigated allowing children to have better health and educational outcomes. Research shows how we can help traumatized children learn by teaching them resilience, fostering trauma-informed/sensitive learning environments, showing them compassion, providing them with protective relationships, and giving them social and emotional learning skills (SEL). Public schools have a role to play in promoting the great childhoods that children deserve and need to succeed in school and life. Learn more about resilience and ACEs. Children of all income levels are impacted by ACEs but children of poverty face significantly more barriers to coping. Poverty affects students’ academic readiness and abilities which adversely affects schools and their ability to reduce academic gaps experienced by children living in poverty. Further highlighting the tragic impact of poverty on learning is how all of the schools eligible for state “take-over” have been listed as high-poverty schools with disproportionate ratios of children of color. This further damages impoverished communities. Taken together, the state’s recent economic agenda and its treatment of school systems that was once a model for the nation has been harmful to children and families. It’s also harmful to the very core of our state and national beliefs. A state whose leaders don’t believe in public schools as a public good, and who don’t treat them as such, cannot achieve education justice for all children. Universal pre-K for all eligible 4-year-olds2. High quality teachers and administrators who are valued and retained in every school. Ending high stakes testing practices that realistically only measure a student’s economic background and keep marginalized students from rigorous classes. Additionally, these tests deny them “entrance or access to so-called ‘merit’ scholarships, contributing to the huge racial gap in college enrollments and completion. Research from around the nation shows the benefits of racially and economically integrated schools. Research confirms that all students, regardless of their socio-economic background, benefit academically from a racially and economically mixed learning environment. It is not only the poorer students who benefit. However, the re-segregation of schools poses a much more acute threat for low-income and minority students given the overwhelming challenges faced by schools with high concentrations of poverty. High poverty schools face much higher rates of teacher turnover and disciplinary problems along with lower student performance. In addition to the academic benefits of school integration, diverse schools do a better job of preparing students to live in an integrated world. Students who learn to work with people with a range of backgrounds are more adept with handling the complexity of difference and the challenge of the unfamiliar. The growth of charter schools that primarily serve one racial, ethnic or economic group and promote resegregation. Private school vouchers that shift public funds to private entities. In addition to being an advocate for integrated schools, make sure to check out our #CharlottesvilleCurriculum page for ideas on teaching #EdJustice tenets to our students. For further reading on this important topic, see our list of recommended resources below. The Atlantic, Patrick Wall, 2017, The Privilege of School Choice: When given the chance, will wealthy parents ever choose to desegregate schools? 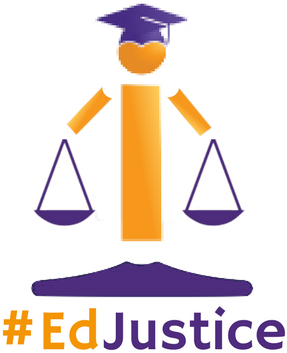 Follow our #EdJustice posts on Facebook and Twitter to amplify our efforts to create the most equitable public school system in the nation, and make sure to see our #CharlottesvilleCurriculum page for ideas on teaching #EdJustice tenets to our students.